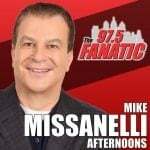 Brian Westbrook joined The Mike Missanelli Show for his weekly Friday conversation about the state of Philadelphia sports! Jimmy Kempski joined Jamie Lynch to break down the Eagles second round pick, Dallas Goedert, and which remaining players could be good fits for the Eagles as the fourth round begins later today! South Dakota State Football Writer Matt Zimmer joined Joe Staszak to break down everything about the newest Eagles' tight end! NFL.com's James Palmer joined The Mike Missanelli Show to break down the first round of the NFL Draft, the Eagles' pick at 32, and which quarterback goes number one overall! Zach Berman joined The Jamie Lynch Show to break down Nick Foles' contract extension, the NFL Draft, and the Eagles' schedule. 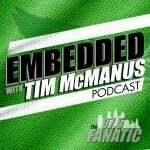 Mike Missanelli is joined by Sal Pal to discuss the Eagles off-season and the Sixers playoff series.